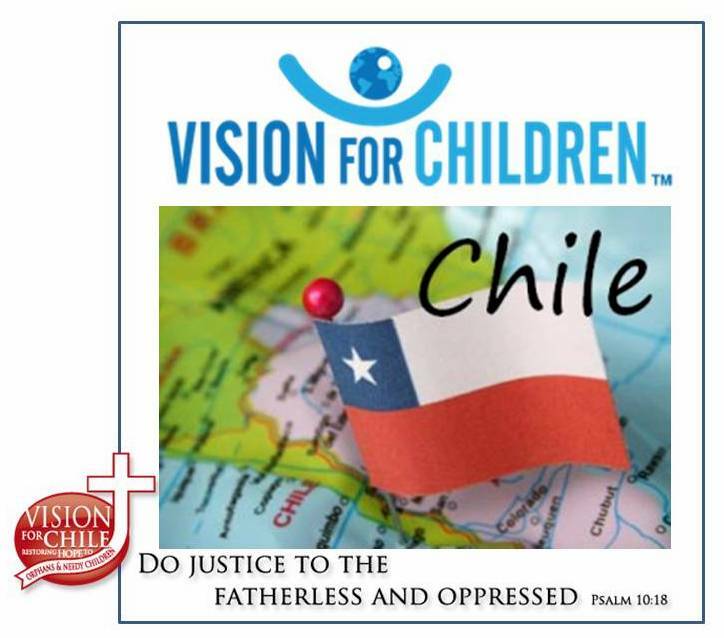 Dear Vision for Chile Friends and Family, we pray that you had an awesome Thanksgiving. This past October, we were truly blessed. With two great teams and over 180 volunteers we were able to accomplish all that we had hoped to. We also had the opportunity to minister to several hundred children in the La Pintana community. Our goal in 2012 was to reach La Pintana for Jesus Christ. In February / March 2013 we are going back to complete phase two of a three phase project on our newest construction project. 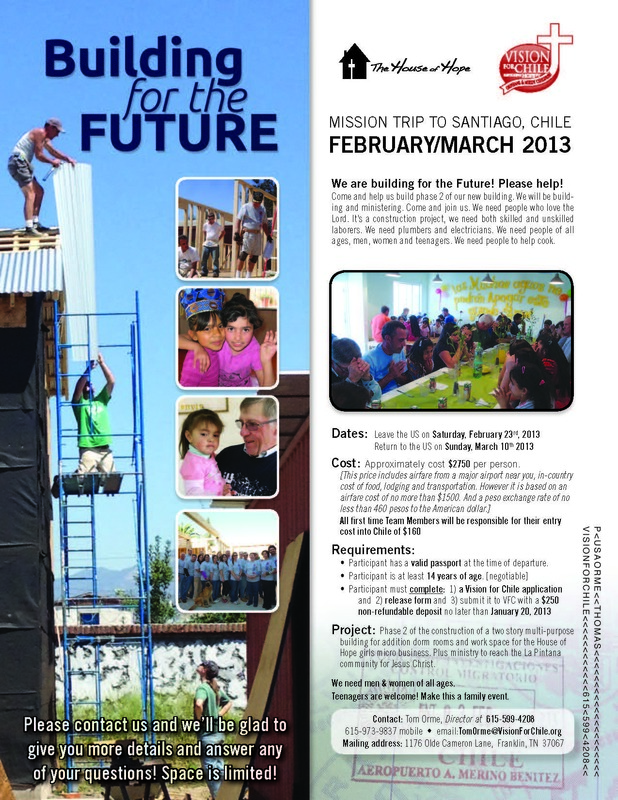 Attached is our informational flyer inviting you to come and be a part of us. We are looking to take a team of 15 to 20 people to build and minister. Will you be one of them ? Previous Post Update 5 On the Job 2012.